Hello Everyone! Today I bring to you, a Single Elimination PvP Tournament! This Tournament will be Single Elimination, meaning you are no longer allowed to participate after a single defeat. Anyone may enter by liking this post. I look forward to seeing how everyone performs! After everyone has entered, by liking this post as mentioned previously, I will be drawing up the Brackets and matching up opponents entirely by random and then contacting those two players so they may fight. We have an arena set up at /event where other players/participants may view from the sidelines, which is where the Tournament shall be hosted from. Valentine's Day Build Contest Winners! Today we have the winners announced for the Valentine's Day Build Contest! A big thank you to everyone who entered, it was an extremely tough decision narrowing down the winners! We have 3 places for the winners and a few honourable mentions! Please contact CakeSpace#0002 on Discord to claim your coupon codes for the webstore! It has been a while since there was a server wide event, so I decided to make something big. This is a maze event, however, there will be some parkour at the end just to make it a bit more interesting. The main part of the event is the maze though. Since there has not been an event in a long time, the prizes for this event will be big. There will only be places for 3 people. Also on Wednesday December 26th, the Random Player Glows crate features TWO new possible animated glow styles will be removed. Get it before it's gone! 2018 Christmas Event, Build Contest Winners + New Crate! Hello everyone! Today is the start of the 2018 Christmas event along with a couple other additions! Read below to learn about it all. Much like the Halloween Event we held, we are having a similar Christmas event on the server! This one will be a little different because it will not take place in the WarZone, but an all new area added for the duration of the event, the North Pole! What is the North Pole? Well, it's a new snowy landscape added to the server for the event! In the North Pole, you do not have much threat and it's a pretty peaceful place. You can still die from lava, and random dangerous holes but that is about it. How do you get to the North Pole? Simply type the command /northpole and you should get transferred to the North Pole with your items! Hello everyone. Today we have finished working on a couple things you guys have been asking for since the beginning of Season 3. We hope you guys enjoy these additions. The nether has been added back to the server! As usual, you can access the nether the same way you could before. For players that don't know, you can simply make a Nether Portal at your Realm, or use someone elses! However.. There have been some changes made, and they've made the Nether a bit more of a challenge.. The world has a new generation, which has it more like a normal world that is nether themed. There are different biomes in the nether, and this includes caves in the ground, ravines, dungeons, and custom structures being generated each time the nether resets (which is when it reboots at 4PM EST). Of course, Nether Castles are still generated in the world, do you can get your hands on those sweet Wither Skulls & Blaze Spawners. Here are a couple screenshots of some generation in the nether. A small little update came over night, and here is the post explaining the additions/changes. Voting is back on the server! If you would like to vote for the server, you can do so using the /vote command in game. Book and Quill - Click this item to get the link to vote for the server! Emerald - This is where you will come back, after voting and claim your reward! You can vote for the server once every 24 hours. Once you have voted, type /vote again, click the emerald and you will be given a Vote Key. Take this key over to the Crate Master found at /spawn and see what you get! [item] is back and better than ever! For those that do not know, [item] is used to link the item in your hand and put it in your chat! Previously, [item] only worked on the /spawn and it was pretty restricted in it's abilities. 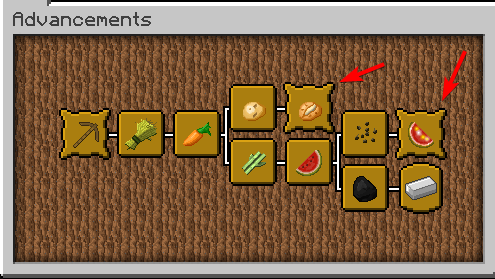 With the addition of this new plugin, there comes a couple new features with it as well! [item] will now display the amount of items being held. [item] works in messages! You can now message people linked items instead of having to put it in public chat. RESET. Season 3.0 now begins! Hello! Today, the server has opened after the RESET! This will mark the beginning of Season 3 on SkyRealms. With the new reset, there comes many changes. Most of which involves balance changes. This will mark the start of a fresh economy that has hopefully changed since last season. If you're wondering WHY we reset, it was because.. Why not? Most people wanted a reset based on a poll we did in the Discord. This gives everyone a chance to be at the top this Season! Read below for the list of changes. We have added Advancements to the server! These advancements are meant to be something to do while already playing the server. There are 4 tiers of advancements. Each tier consists of 10 advancements for a total of 40. Each tier has 7 "Tasks", 2 "Challenges" and 1 "Goal". Tasks are meant to be pretty simple and give you a low reward. The 2 Challenges are optional, but they give the best reward and are meant to be difficult. The 1 Goal is the advancement you must complete to move on to the next tier. You can view the reward for your advancement in it's description. I'm happy to announce that we'll be hosting a new event on Saturday, you most likely already guessed what it's going to be from the title. Anyway, we'll be hosting our Hide and Seek event on Sunday the 20th of May at 1 pm EST. This thread has been made to simply explain the rules and how the event will be held since this event is different than any other event we've been hosting. The rules are simple and fair for everyone, I can promise you that no one will be having an unfair advantage over anyone. 4- You're not allowed to tell where people are hiding to the seekers, doing so will result in you being eliminated. Most people are already familiar with the Hide and Seek game, this is just a simple explanation of how this event will be hosted and how it will work. Before the event will start all hiders will have 5 minutes to explore the hiding map and the hiding spots on the map. After these 5 minutes, Hiders will be granted 2,5 minutes to start hiding. 3 seekers (Pat and 2 staff members that haven't seen the map) will start looking for the players if you've been found you'll be kicked off the server. Hey everyone! We have some big news today! As of right now, our new title Cosmic Showdown's early beta is NOW available for download in the Google Play store! Happy late fourth of may amazing people! I know I know there hasn't been an update for a long time now, so I am here to tell you all what happened between last update and this post. Almost forgot, this week the shining star is Adventurer14! Congratz!! make sure to give him a visit and use his shops for some nice profit! The judges are completely open minded so surprise them!! Adherence to Theme - if the realm does not adhere to one of the month's themes, they are immediately disqualified. Creativity - Creativity is judged both by the creativity of your overall build along with the creativity of the materials you choose. Overall Aesthetic - Aesthetic is determined by multiple factors such as color coordination and symmetry to improve the overall visual effect of your realm. Difficulty - Difficulty will examine both the complexity and difficulty levels of your build. Happy Friday SkyRealms Peeps! I hope you all had an amazing Easter As you know, there was no update last week because of the holiday and it feels like so much has happened since the last post. One of the biggest changes is that our beloved Admin, Deci, has decided to move on from SkyRealms *ugly cries*. While we will all miss him terribly, I'm sure you'll join me in wishing him the best in whatever comes next! That's right! A new month means a new build contest and a new theme! This month's theme is both very easy and very, very difficult. It's…. I'm going to let your imaginations run wild on this one. Show me something I've never seen before and you just might find yourself on top of the world!! It's Friday, Friday, gotta get down on Friday! (Sorry for the Rebecca Black reference, couldn't help myself ) We've got a lot going on this week and I'm so excited to fill you in on what we've been doing. But first, there's a certain build contest that's in need of some winners! Once again, this was a very difficult contest to judge (sooo many cool builds ) but these realms were really something special. So, without further ado, our winners! Is it Friday already? I guess it's time for an update! It's officially happened. Some ruffians have opened a "beverage" stand in the SkyRealms spawn and are selling drinks with the promise of rewards. Beware though! Sometimes the beverages will just take your money and leave you feeling sick. But, if you're feeling lucky, you just might come out with a nice hefty profit! To check out the new beverage stand, keep and eye out for these two jokesters, click the NPC, cross your fingers, and hope for the best. May the odds be ever in your favor! It's Friday! Woo-hoo! You know what that means…..time for the "Not an Update" Friday Update! Onto our not an update update! I'm gonna get real for a second. We ARE still doing stuff on the back end, but our plans for the next big update are SO AWESOME we literally cannot do it in one week. Not even two weeks. Possibly even three. It's THAT BIG A DEAL. But never fear, we still have events to keep y'all satiated until THE BIG ONE. First up is St. Patrick's Day! Considering mine and PatP's Irish ancestry, we wanted to go big or go home when it came to decorating spawn and DID PATP KILL IT OR WHAT? The green! The gold! The pot o' gold! The rainbow! The Irish flags on literally anything that will support an Irish flag! It's easily the most beautiful thing EVER! It's Friday y'all! Which means it's time for your update. But first, lets take a peek at this week's realm feature. Also, shout out to our Olympic Parkour Winners Benny_0202 in first place, AzidicSlime in second, and ISNAPCHATGIRLS in third! Mad skills, guys. Great job! All Hail the Queen in the North! You read that right! It's a new boss! And it's a polar bear! And she's a total tank! And cute and fluffy and ferocious and…and…and…man I just need moment, I'm too excited! Okay. While I take a moment to calm down, lets learn some more about the Queen of the North. First and foremost, she's BEEFY. Boasting 7,500 health she is easily the toughest boss we have released. So get ready. Next up, her moves. Queenie comes with four moves, each with their own devastating effect. Check them out below. There Can Only Be One Friday Update! Happy Friday Everyone! Bit of a soft update this week (I think we all needed a bit of a break ;P) but still some pretty cool things coming your way! But first, lets get to our feature realm! This week's feature realm is EternalSky (/visit EternalSky). I checked it out a bit earlier and, I gotta say, it's pretty freaking cool. So make sure to swing by sometime this week and check it out! First, thank you EVERYBODY for your AMAZING submissions! It was not easy to pick a winner and the margin separating the 1st place realm to even the 10th place realm was incredibly close. Therefore, without further ado, I give you your February Build Contest Winners! Congratulations Everyone! Your builds were inspiring, beautiful, creative, and left me awe-struck! It was so hard to pick a top three and I cannot wait to see what you come up with next month! Hey friends! Hope you're enjoying the Olympics on SkyRealms We'll get to this week's update, but first let's check out our featured realm! This week, we're featuring a realm will shops and towering quartz structures by marcseli! Make sure to check it out on your explorations this week at /visit marcseli. That's right! The Valentines-themed build contest has officially drawn to a close. Thank you so much to everyone who participated! We are in the process of going through all of your submissions and we will announce a winner next Friday with the new update. OMG IT'S AN UPDATE ON THURSDAY! I know! The update is a day early! Why? This is confusing and strange and wrong and just TOO MUCH RIGHT NOW OKAY?! Calm down. Trust me. It's for good reason and I'll explain everything in this post. Now, onto what's going on. I am so happy to announce that SkyRealms is going to be having it's very own Olympic celebration! As you may know, tomorrow is the first day of the 23rd Winter Olympics in PyeongChang, South Korea and we couldn't think of a better way to celebrate then to give you guys your very own Olympic village at spawn! Plus, we were so excited to get this out, we simply could not wait until tomorrow. So, without further ado, I present to you, THE SKYREALMS OLYMPIC VILLAGE!! Hello everyone! Get ready for your update! But first, let's announce this weeks featured realm! This week we're featuring a realm built by Runverbots and HeyImFlo2. You can visit by going to /visit genxmmen and once there you will find everything from potions to iron and cactus profits. Also, keep an eye out for their upcoming sugar cane profit! Guy, I'm so excited about this update! Now that I've had the chance to explore the server and check out everyone's realms I CANNOT WAIT to see what you guys are going to come up with for our monthly build contests! This month, the theme is Valentines. Think hearts, love, flowers, candy, and stuffed animals We will award prizes to first, second, and third place in the form of SkyRealm's gift cards (details below). To participate, simply type /buildcontests or /bcontest and you'll see three icons. The first one contains contest information (like rewards, end dates, theme, etc. ), the second allows you to submit your realm, and the third shows all the submitted realms (to check out the competition, of course!). We’re making history today guys! For the first time since the reset, we are going to have ender chests back, but we're using a different system than before. A perk of this is, this time, players will have MORE space. There was a shop change as well! We have nerfed the price of Cactus and Sugar Cane. 32 Cacti now sells for $128 and 32 Sugar Cane now sells for $200. Now, onto business. We have four (yes, four!) new announcements for you guys today, so buckle up! Starting today, players will be able to purchase an additional realm through the SkyRealms store under the "Black Market"! Once you purchase your second realm, all you have to do is /claim it in game. These are completely new realms, so keep in mind that everything is separate from your first realm (including size, cobble gen upgrades, member, etc.) which means double the profit shops, double the spawns, and double the fun! First and foremost, have y'all seen that ominous NPC chilling at spawn called BountyHunter and asked yourself, "I wonder what he's for?"? Well, wonder no more comrades! We're introducing……..........…. *drumroll*…………………Player Bounties! *cue fireworks* Yaaassss! This week we are introducing Player Bounties! You might have noticed a new NPC at spawn called the Bounty Hunter. The Bounty Hunter will allow you to set bounties on other players, check to see if you have any active bounties on your head, and most importantly check which player currently online have a bounty that you can chase down in the warzone for that sweet, sweet cash reward! Fixes to Realm permissions not behaving the way they should. Warzone chests no longer have a chance to disappear forever. Fixed Bosses dropping broken spawners. Fixed some small bugs with the nether. Fixed double message when voting. Fixed nickname color not saving. Over the past few months, we have been working hard on a mobile game code-named "Helium". We would appreciate it if you could take some time to play it and give us some feedback! Helium is a real-time, synchronous multiplayer action/strategy experience, set in the distant future. Galaxies are being explored, mined and looted for their rich resources. Competition for control and power is fierce. As the player, you take control of your own mining fleet; your goal; to dominate the galaxy and annihilate the competition. Your objective is to defeat your opponent by destroying their spaceship. Each player will pick their Battle Deck of six Turret cards. Turrets are a collection of attacking, defensive and support units so pick your Battle Deck carefully and remember to experiment with different configurations. [09/15/2017] Super Creeper Spawners and the Return of End Raids! Many of you already noticed that we added normal creeper spawners to the spawner shop for $400k earlier this week, but today we've got a brand new Super Creeper spawner for you, available from Professor Manton. Just like the improved Iron Golem spawners, the Super Creeper offers you new ways to farm. The Super Creeper will drop gunpowder, as well as 1, 2, and 3% enchanted dust! Professor Manton will gladly give you one of these new Super Creeper spawners in exchange for 4 normal creeper spawners. You've all been loving the duel system we released earlier this week, and we've been working hard fixing the issues you've reported to us. Duels are now better than ever, and you can no longer use ender pearls or chorus fruit to get out of the arenas. We've also fixed the issue with being unable to duel your friends, as well as disabled the pickpocket enchant in duels. After an extended break to fix a few issues, End Raids are back! You can use your end raid tickets again to queue up to fight the mighty Ender Dragon for a chance at epic loot! Hey everyone, today we have a much requested feature for you all, duels! Read on to learn more about this great update. Duels are a safe way for you to fight your friends (or enemies!) in a 1v1 battle to the death. You will NOT drop your items when you die in a duel, though any consumables (food, potions, etc) will be consumed if used during a fight. There are two types of duels available, friendly and bet. In a friendly duel, nothing is lost. In a bet duel, both players agree to put an amount of money up ($1k, 10k, 100k, 1 mil or 10 mil). The winner will receive 90% of the cumulative bet and the loser will lose their money. For example, if you fight me in a $1 mill bet duel and I win, I would get $1.8 mil and you would lose your $1 mil. DO NOT fight bet duels if you don't want to risk losing your money. As of right now you can only duel on realm servers, not spawns. The player you wish to duel must also be on your same server. We've added 6 new, mostly user suggested, nametags for you to obtain! Realm permissions, a much requested feature, is here for you all! Read on to learn more about this new feature and how to make the most of it for your realm. There are three (four if you count owner) ranks for realm members now. Invited members will default to being 'Member' rank. More information on each rank can be found below. Can build and place only limited blocks. Cannot interact with chests and other items. Members cannot, for example, break chests or spawners. Full list of blocks members cannot place, break or interact with - sign, chest, lava, water, dispenser, dropper, hopper, redstone, mob spawner, and end crystals. Can build and place fully. Can interact with chests. A guard is essentially what previous invited members were. Only give this to friends and players you trust! Sort of a co-owner. Managers can do everything a guard can and can also invite new members to the realm. They cannot promote members though, only the realm owner can do that. If you are a manager of a realm, you have to be at that realm when you do /realm invite to invite to that realm, otherwise it will invite to your main realm. The owner is the original starter of the realm. This rank cannot be changed. Today we have an awesome new boss for you all to fight! Read on to learn more about the Witch boss. Many of you have enjoyed the challenge of the Iron Golem King, but now its time to gear up for a new challenge, the Witch Boss! This new boss is fought in the same arena at spawn as the Golem boss, and rewards are handled the same as well. The Witch fights in a completely different style than the Iron Golem King, so your previous strategies may not work as well. With brand new exciting abilities, the Witch loves creating as much chaos as possible. Though she is a bit easier than the Golem, the fight will still present an exciting challenge and experience! If you and your friends are able to defeat her, you'll be rewarded with great loot, including special Witch armor, Witch bow and Witch sword! Good luck in your fight and may you be lucky with your loot! You can get a Witch Boss Egg from the store HERE! We didn't forget about the good old Iron Golem King! We've made him just a bit stronger (or maybe a lot stronger, you'll have to fight one to find out!) as well as buffed the loot that he drops! [08/09/2017] Fight the Dragon in the End Raid! If you've enjoyed fighting the Iron Golem King boss, then you're going to love this update! You can now take on the Ender Dragon in a fully custom End Raid battle with your friends. Read on to learn more! You can win an End Raid ticket by following this link! In order to start an End Raid, you will need an End Raid ticket. You can grab them in the store HERE. You can also get lucky and from time to time find a ticket in a key! Just like the bosses, just one player needs the End Raid ticket to start the battle. In order to defeat the dragon, you're going to need help from some friends. Once you have a ticket, simply do /p invite (player) to invite your friends to your raiding party. You will need at least 8 members (including yourself) and you can invite up to 12 total to join you in the hardest fight on SkyRealms! Once you have your party setup (make sure you and all your party members are geared up! ), right click the End Raid ticket to head to the fight! Don't worry about losing your best gear, you won't lose anything you bring to this fight, even if you die. Hey everyone, you now have new ways for you to make farms and profit shops with two new custom mob spawners! Read on to learn more about these awesome custom additions. These spawners can only be obtained from a special NPC at spawn named Professor Manton, as seen in the image below. He will give you one of the new custom spawners in exchange for your normal iron golem spawners. The Super Golem spawner is just like a normal Iron Golem spawner, except that it doesn't drop any poppies. It only drops iron ingots, allowing you to build more compact, more efficient farms and profit shops! You can get a Super Golem spawner from Professor Manton by trading in 5 normal IGs. The Golden Golem spawner spawns normal looking Iron Golems, except they drop gold ingots instead of iron ingots! Just like the Super Golem, they also don't drop poppies, though they require 7 normal IGs for one trade up. Grab some Golden Golems and make some gold profit shops! While they aren't custom, rabbits are still fun! And now you can get yourself a normal rabbit spawner from the spawner shop. As most of you are already aware, SkyRealms has an awesome Discord community. If you didn’t know, see the bottom of this post for how to join the ever growing group where you can learn about updates, talk to staff, hang out with other players and more! If you don't have a rank, this command will do nothing. You can change that by buying a rank here. This will link your in game account to your Discord, and show off any awesome rank you have in game! Make sure you PM the bot your code, DO NOT post it in a public Discord channel. If you have not yet joined our Discord community, you can do so by clicking HERE! Many of you have asked for it, and its finally here. Full 1.12 support has come to SkyRealms! Read on to find out more about what this means and what new features it brings. 1.11 and 1.12 brought a lot of great new blocks to Minecraft, and now you can use all of them in SkyRealms! From Shulker boxes (temporarily disabled due to some crash issues, will be fixed soon! ), to observers, to the brand new types of clay! 1.12 is truly a builders dream update with all the amazing new blocks and colors. While you won't be able to acquire all these mobs quite yet, you will soon be able to have tons of new mobs to befriend and fight! Parrots, polar bears, shulkers, and new villager types are coming to a SkyRealms near you very soon! 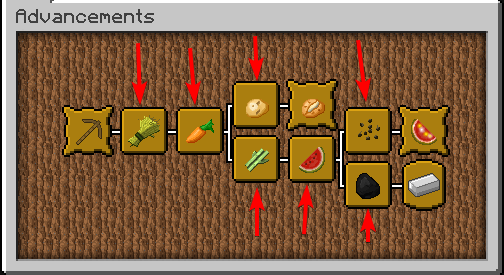 While we now fully support 1.12, you can STILL connect using 1.10 or 1.11, though some features may not work fully. For example, if you connect in 1.10, blocks from 1.11 and 1.12 will show as a 1.10 block instead. You'll still be able to fully play SkyRealms, but for the best experience we recommend using 1.12. A few weeks ago we added the Nether, but what is the Nether without the Wither for you to take on? The Wither is now here for you to fight! Grab 4 soulsand and 3 wither skulls and head to the Nether with your friends and your good gear and prepare for a challenge. The SkyRealms Wither is stronger, and harder to kill than usual and it will require teamwork to take down. When you manage to kill the Wither there will be a chance for it to drop a nether star, an item you can sell or craft into a beacon! Note: Withers can only be spawned below Y 105. This is to keep the players joining above safe utill they decide to go into the depths of the underground. The Wither can only be built and fought in the Nether, so be prepared to deal with other angry mobs such as pigmen who will do everything they can to prevent you from being victorious. On top of adding the Wither, we've increased the difficulty overall. Zombie pigmen are now automatically aggressive. So while there isn't PvP in the Nether, you should still expect a challenge! Hey everyone, we've got a great update for you all today, all about fighting epic bosses for epic loot! Read on for more information. Are normal mobs and their loot just not cutting it for you? Are you looking for a bigger challenge to take on with friends in exchange for a chance at greater loot? To activate a boss fight you need a boss spawn egg, which can be purchased from our store HERE. Once you have a boss egg, head to the arena at spawn (Found straight ahead from the spawn point, beyond the warzone drop), gather your friends with the best armor and weapons you've got and spawn the boss! Be warned those, boss fights are hard, and will require your best gear, and your best friends in order to take it down. At the moment we have one boss, the Iron Golem King, and he will not die easily! If you manage to take him out, you will be rewarded with lots of loot, including pieces of the exclusive Golem armor and weapons. The summoner of the boss is always guaranteed loot, and the 5 players who do the most damage to the boss during the fight will also receive loot. Keep an eye out for more future bosses for you to fight and good luck to everyone taking on the Golem King! Hey everyone! We've got some great updates for you with daily tournaments. Read on to learn more! Daily Tournaments offer a new way to challenge yourself daily and earn legendary rewards! Just like daily challenges, there will be three new tournaments each day. Each tournament will task you with something different, from looting chests, to killing mobs, to mining certain blocks. Tournaments can be accessed from the /challenge menu by clicking on the iron sword. At the end of each day, the top 3 players in each tournament will receive rewards! Good luck to everyone participating in each tournament! [5/26/2017] The Nether, Balances and More! Hey everyone! We've got some major updates and balance changes for SkyRealms for you all today. Read on to learn more about the Nether, enchant balances, legendary keys and more! The nether is a classic Minecraft realm, and now you can visit it in SkyRealms! Simply construct a nether portal and hop in, just as you'd expect. This will take you to a custom world where you'll be able to adventure, mine, kill mobs and more! When you spawn into the Nether, you'll spawn high up with an elytra, allowing you to fly down to a spot of your choice in the world. Once you land the elytra will be removed and any armor you had on restored. 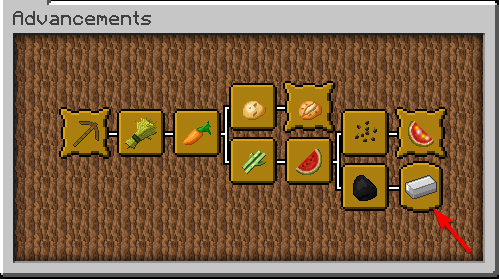 Inventories do transfer, so anything you obtain in the Nether can be brought back to your realm! PvP is disabled (for now, let us know if you think this should change! ), so your only fear will be the pigmen, blazes and other monsters that inhabit the world. If you're fast you'll even be able to mine a blaze spawner before other players get to them! The nether will reset periodically, so don't get too attached to the world. Based on extensive feedback from all of you, we've balanced and fixed a huge number of enchants to make PvP more fun, fair and balanced! You can find a full list of the changes below. We've got some fun updates for you this week. Read on to find out more info on sponsored realms and name tags! Top realms is a great way for your realm to get more attention and more visitors (and more visitors means more sales in your shops! ), but it can sometimes be hard to get those top slots for visibility. Fear not, using in game money you can now purchase a sponsored realm slot for a week and get all the extra attention you've always wanted! The top row of 9 realms are the sponsored slots. If a slot is available it will show as an emerald. Simply click an emerald to purchase that slot for a week. First come, first serve! Name tags are here and let you get that extra flair to show off to your friends! There are currently 12 name tags for you to unlock, and they can be obtained in three different ways. To access the list of name tags, simply type /nametag. [5/12/2017] Skywars Update, Realm Themes, Trading and More! We've got a ton of updates including SkyWars, new realm themes, new chest shops and more for you all today. Read on to learn all about these updates! We've made tons of changes to SkyWars to make it an epic game that you'll all enjoy playing! Many of the changes are listed below, but there are many small improvements that you'll have to play to see for yourself! In order to continue to give you ways to customize your realm, we've added two new realm themes (Nether and Wild West) to the store. Give your realm some extra flair by buying one HERE! We've created a better chest shop system, which means many of the issues with the previous system are fixed. You will no longer have to reset your shops after every server restart! [05/05/2017] - New Themes, SkyWars Update, and Bug Fixes! [04/21/2017] Top Realms, Bug Fixes, and More! We've got a bunch of cool new features and great bug fixes for you all this week. Read on to learn about all the changes and updates of the past 7 days. Ever wanted to show appreciation for someone with an epic realm? Or wanted to show your epic realm off to more people? Well now you can with realm voting and top realms! Every 24 hours you'll be able to vote for your two favorite realms by typing /realm vote while visiting them. At spawn you'll see a Top Realms NPC who will display all the highest voted realms. You can quickly and easily visit popular realms using this menu. Get out there and make your realm the most popular on the entire server! We've added increased member limits to donor realms so you can invite even more friends to be a part of your SkyRealms adventure! The increased limits for each rank can be found below. Players will no longer take damage when they are visiting realms they are not a part of. This means others won't be able to trap you, kill you, and take your items any more! [04/15/2017] Easter Update and Sale! To celebrate the holiday everything in the store is 25% off for this weekend only! Get that rank or Gkit you've been wanting HERE. In addition to the sale, we're doing a rank upgrade on Twitter! Just retweet THIS tweet for your chance to win! Starting now and through Monday, you'll be able to find Easter Eggs in warzone chests. If you manage to collect 15, you'll be able to exchange them for an exclusive Easter realm theme at the Easter Bunny, found at spawn. Be careful though, if you die in the warzone your killer will collect your eggs! Once you unlock the theme, if you are having problems switching to the Easter Realm theme, simply go back to /spawn and then back /home and it should work! We've got some great new store updates for you all today, as well as some bug fixes from the past few days. Read on for all the information about these updates and changes! Ever wanted to change the spawn area of your realm to something more fancy? Well now you can with Realm Themes! At the moment we have two, Castle and Mushroom, which can be seen in the banner image at the top of this post and are available in our store. More themes are coming soon, with some being winnable as prizes from crate keys in the future! If you have any suggestions for cool themes you'd like to see, make sure to let us know! We've also released GKits to our store. Once you purchase a kit you'll be able to claim it once every 3 days! Each item in the kits comes with randomized enchants every time you claim them. Read on for more information on each of the 3 kits. This kit will give you a diamond sword with disarm and disarmour enchants and a chance to have heavy hand, greatness, and/or berserk. It also includes a diamond chestplate with reinforced and cactus and a chance for snares, saturation, and/or slows enchants! [04/04/2017] Daily Challenges, Twitter and More! Today we have some great additions and changes to SkyRealms for you all. Read on to learn about them all and be sure to check the bottom of the post for the full changelog! Looking for an extra challenge for an extra reward? Then make sure to log in daily to complete our new daily challenges. When you type /challenges you'll now be given two options, classic SkyBlock challenges and daily challenges. Every 24 hours there will be three new challenges which you can complete for rewards, such as an epic key. Example challenges might include mine 20 obsidian, win 3 SkyWars games, loot 20 warzone chests. Once you've complete a challenge and received your epic key, head over to the new Crate Master golem to open your crate. The Crate Master will also open any voting keys you receive from now on. For those of you who use our Discord, we've added two new channels - #skyrealms and #deals_and_trades. You can use #skyrealms for all server related chat and #deals_and_trades for making trades for in game items. We've also added a set of Discord rules, which can be found HERE! I'm pleased to announce we have added voting and voting rewards to SkyRealms! This was a much-requested feature, and I'm excited to finally share it with you guys. Click the book to get the voting link, once you have voted come back and type /vote again. You will notice an enchanted emerald. You can claim your reward by clicking the enchanted emerald. Since launch, we have gotten a lot of feedback from Donators that the current perks for donating and supporting the server could be improved. We decided to spend a little time working on a new feature exclusively for donators to thank them for supporting us and our network. Each of the different realms come with a different max build size. With this, you will have more room to make your realm bigger and better. After several months of hard work, we are thrilled to announce the beta release of SkyRealms! When we set off to build SkyRealms, we knew we wanted to build a server that focused on inclusivity and community. That's why early on in the design process we decided to build the technology required to support all of our players playing together. SkyRealms does away with the traditional server picker and allows players to play and interact with each other regardless of what server they are on. While the server is in beta, we will be relying on you the community to help us find any bugs (which I'm sure there will be tons of), balance the game, and help us come up with new additions that will make the server more enjoyable for everyone.